Tetra Limited is glad to announce its new partnership with Ascendix Technologies, a CRM solution customized specifically for the commercial real estate business. Ascendix chose Tetra as their partner in Hong Kong based on our experience with Microsoft and successful implementations across various business types. “We realize the importance of having a trusted partner that is located in the Hong Kong region to address local needs and concerns that we would not be able to accommodate as effectively from afar. We are extremely excited about the partnership with Tetra for these reasons and look forward to continued pursuit and finalization of this strategic relationship”, said Mr. Wes Snow, CEO and President of Ascendix Technologies, Inc.
You can get to know us better by browsing "Products". Please contact Ms. Becky Chan at becky.chan@tetra.hk or appoint a meeting online if you are interested in a product review and demonstration and we will schedule a session. "Critical information is no longer obscured. If we have the same client in different cities, we know about it and can negotiate the best deal possible." Should you build or buy? Our take. 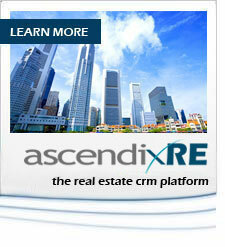 Our white paper will explain how Ascendix's years of development and CRE experience can help you implement MSCRM quickly. If you do not wish to receive further email messages from us, please click here.